A collection of teaching ideas and approaches for reluctant readers based around this popular text. 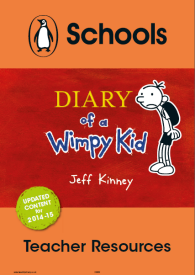 Includes activities on creating characters, drama, compiling a scrapbook and storyboarding The Diary of a Wimpy Kid. Part of the Penguin Schools collection.